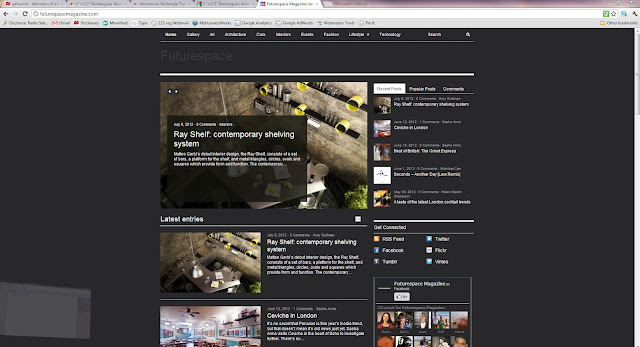 If you like, have a look at Futurespacemagazine.com and read what they said about Ray Shelf! Matteo Gerbi’s debut interior design, the Ray Shelf, consists of a set of bars, a platform for the shelf, and metal triangles, circles, ovals and squares which provide form and function. The contemporary and stylish shelving system comes in bright colours and is meant to be customised, from shape to composition, to application. Each shape is created to fit the set of bars, creating a unique and innovative design. Now based in London, the Italian architect studied in Florence, before spending time in Ireland working on residential and commercial projects. Gerbi’s recent background is in aviation design and was directly involved in developing Gatwick Airport’s North Terminal extension. He’s also been lead architect for projects at Heathrow. 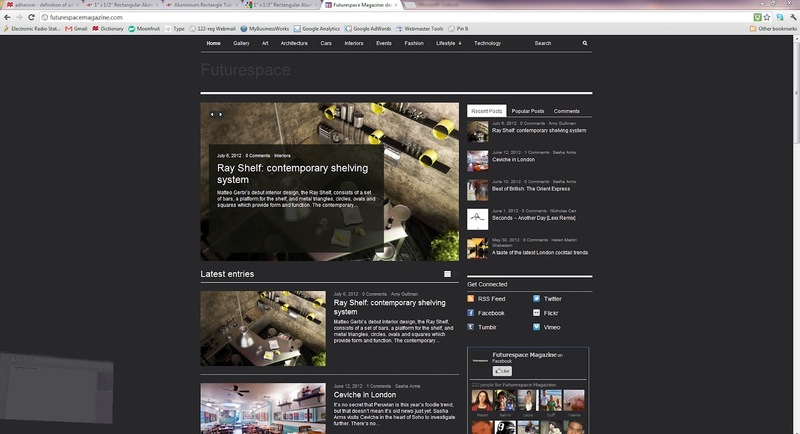 Gerbi set up his own company and website to develop the Ray Shelf and other ideas. Gerbi has a passion for architecture and interiors. His synonymous company is an interdisciplinary design studio focussing on high quality and service. With the Ray Shelf, Gerbi is trying to take a fresh approach, re-inventing a traditional item, making a virtue of the supports, or brackets, rather than hiding them. The contemporary shelving system is a bit like an art installation, with a customer’s own interpretation at play – be it a set of bars with just a circle on one side, or a square. The shelves were launched recently at a design show, where several customers responded by buying just one shape with a bar, as a piece of wall art. Despite the similarity, Gerbi says the Memphis Group wasn’t his inspiration. Instead, it was his fatigue of black and white that led him to paint the steel shapes in crayon-like colours. Gerbi is currently working on a lamp, but it won’t be part of the Ray line. Instead, it will have its own name. Meantime, Gerbi will work on creating his own brand, too, through the Ray Shelf and other unique adaptations of everyday items.